Life takes a strange and unexpected twist. 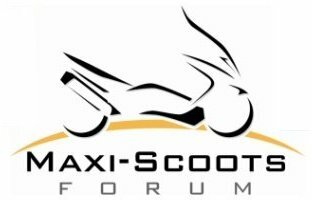 Maxi Scoots > Riding > Motorcycles > Life takes a strange and unexpected twist. I've recently been asked to apply to be certified as a motorcycle safety instructor. Re: Life takes a strange and unexpected twist. Perhaps even more than your motorcycle ownership adventures, I'm interested to read where this leads. Best wishes should you decide to apply. The certification process was challenging but rewarding for me here in Maryland. I'll be applying. If they accept me, I will have to attend a nine day trainer's course, unpaid. Then will have to commit to doing at least three, three day classes per season, for three years. It would dovetail fairly well with my part-time bus driving duties. They want to add six or seven new instructors in my western South Dakota area. I think you would really enjoy that teaching experience. If they have a section in the classes on motorcycle selection-or how to buy a motorcycle, you would be the leading trainer for sure. Hope it works out for you. I thought about being an instructor. But I realize I'd rather be riding myself than watching other people ride. Only so many riding days in a year up here in the snow belt. I understand the desire to ride rather than watch others do so. But both instructors at my class had 200+ mile roundtrips each day. So, there is potential to do both. It's only three weekends per season, at the minimum, so it won't greatly interfere with my riding time...and actually, it doesn't pay all that bad either. Well, that's at least three weekends that will keep you out of that darned bike shop. No looking or buying!